Situated in Orpington, Kent, this large and easy to access club is nestled in beautiful Kentish countryside. 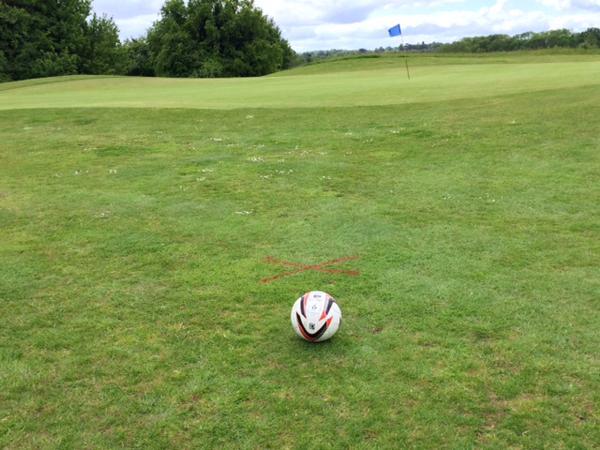 Footgolf is offered on the Vista course on Thursdays from 3pm and on weekend afternoons. For those looking for more than just Footgolf, there are two additional courses and a driving range. This is a particularly peaceful course given its suburban location, with wonderful open fairways and lined with mature trees. The venue offers family tickets making it an ideal day out for all the family, young and old alike will enjoy the Footgolf craze. The large and well-equipped clubhouse has friendly staff with a bar offering meals. There are also changing facilities, showers, Wi-Fi, Parking, and Footballs to borrow. With its easy access from the M25, this really is a good spot to try out Footgolf wherever you are in the South East of England.